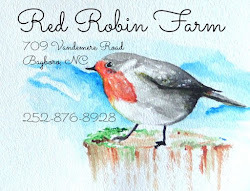 Red Robin Farm: The Girls Are Here!!!!! Oh my word, I am beyond excited and thrilled!! 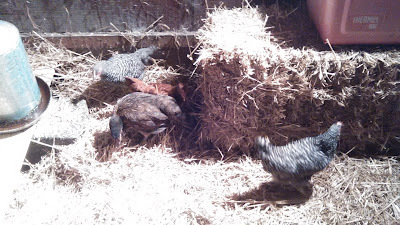 I have CHICKENS! 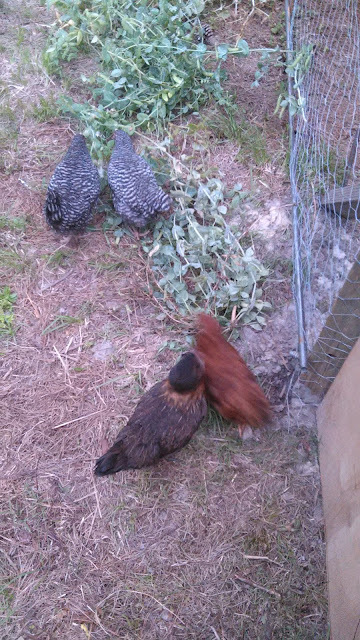 A good friend and owner of dozens of hens (and a few roosters) had these birds left over when a neighbor gave her some extra Easter birds. So she gave them to me. Be still my heart. I'm over the moon. 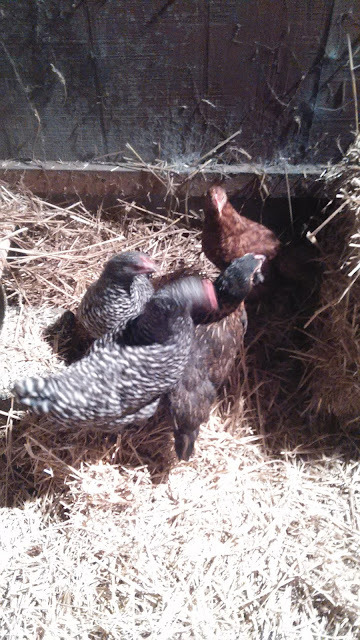 The two black-and-white speckled ones are Barred Rocks. They are named Lucy and Ethel. This gal below is dark and is an Ameraucana. Her name is Punkin. The beautiful brown one is a Rhode Island Red. Her name is Ruby. 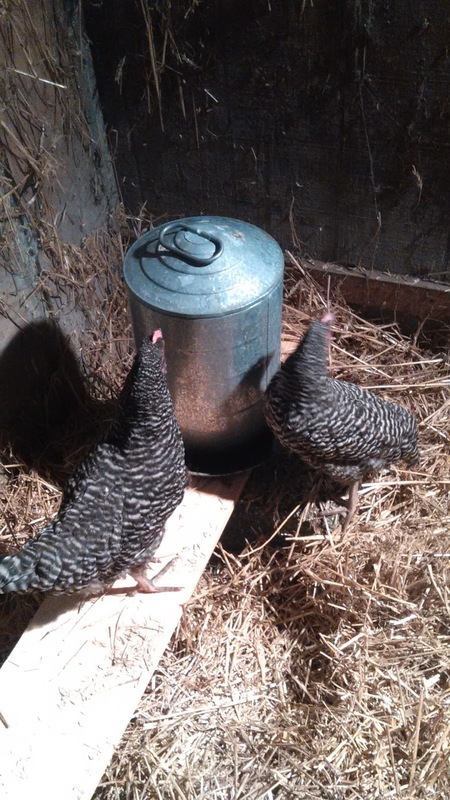 We got an "A+" from my friend on our chicken coop and yard, so we were ready to go. I love to watch them. Now I gotta go and put them up for the night. Wish me luck! 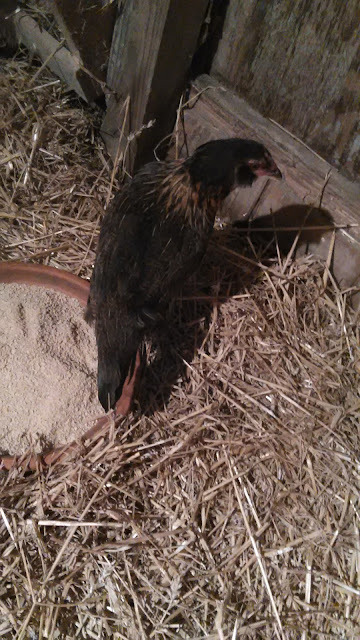 I always wondered how people stopped their chickens flying away. Now I know! I suppose they would always come back to their food. 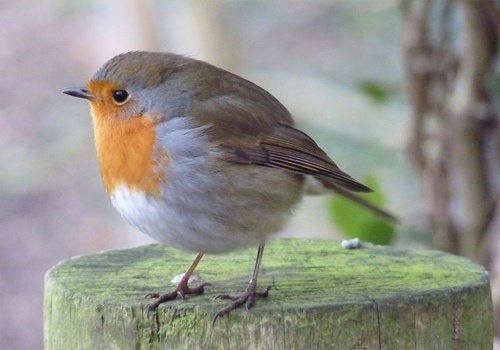 But I know nothing about chickens, so don't take any notice of my ramblings.